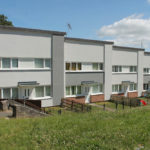 Sustainable Building Services (UK) is now delivering a £2.1m scheme involving 220 occupied properties in Plas Madoc as part of Wrexham County Borough Council‘s Re-roofing and Group Repairs Framework. The work entails roof replacements and the installation of external wall insulation. In the original phase of the framework, which ended in September 2018, SBS carried out similar improvements to 186 properties on the Plas Madoc estate (pictured above). Its customer satisfaction scores were higher than those of all other contractors on the framework and, on the strength of its performance; SBS was awarded a place on the second phase. The current project is one of the first to be undertaken through it. Phase 2 began in September 2018 and work is scheduled to continue until February 2020. 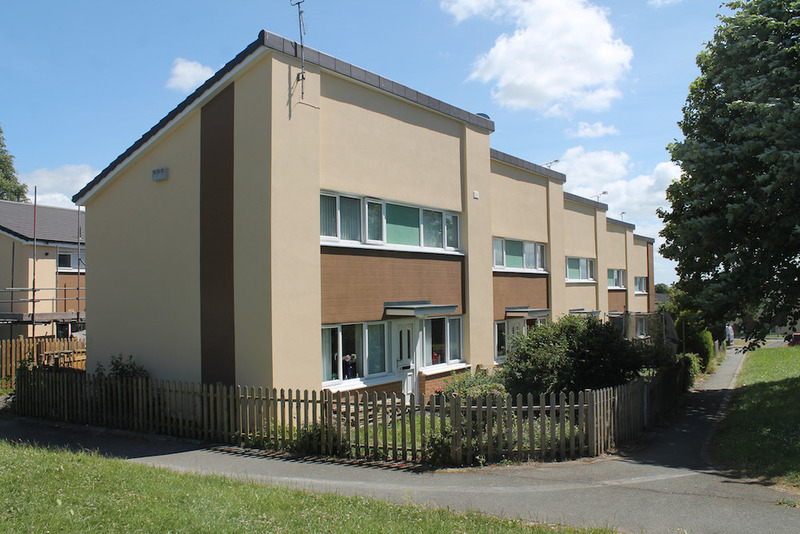 On 200 of the properties, SBS is installing a Wetherby external wall insulation (EWI) system that comprises EPS insulation, a silicone render and a variety of brick slip finishes. Wrexham CBC specified a selection of matching colours for the different housing blocks. Energy Performance Certificates are currently being issued and they are expected to show substantial improvements in heat retention. On all 220 properties, the existing Marley-type roof tiles are being stripped off and replaced with a smooth-profiled Sandtoft tile. Where necessary, existing solar PV panels and satellite dishes are being refitted with new mounting brackets. The extra width of the EWI requires extensions to the roofline, which SBS is also managing. SBS also played an important role in securing ECO funding for the scheme.